Nimmo Bay back buildings. Photo by Johanna Read TravelEater.net. When you’re a resort in the wilderness, it’s not just good business sense to be sustainable. 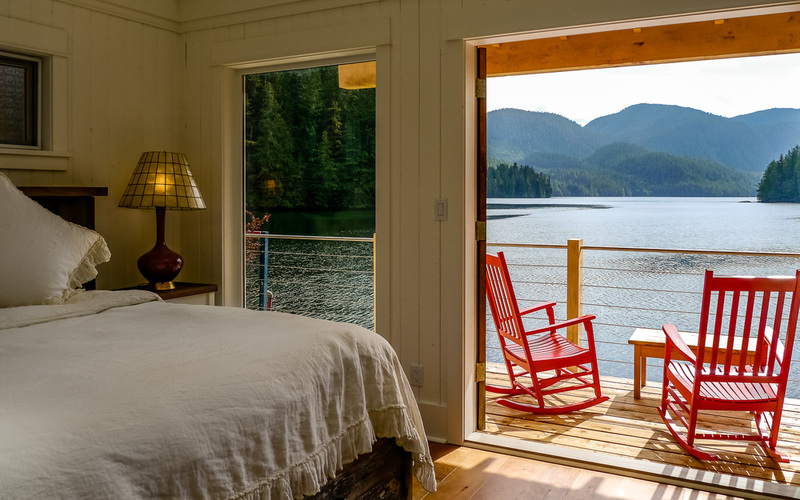 Nimmo Bay Wilderness Resort is almost in the middle of nowhere. It’s in the Broughton Archipelago in the Great Bear Rainforest, which is halfway up Canada’s west coast. From Vancouver, you need to take a ferry and drive, or you can fly, to the northern tip of Vancouver Island, and from there take a helicopter, float plane or boat to the resort. While technically Nimmo Bay is on British Columbia’s mainland, there are absolutely no roads to get there. It started out as a fishing lodge. But as the younger generation of this family-owned and -operated business took over, it soon evolved to a resort which caters to guests looking for all sorts of wilderness experiences. Now it is one of the Magnificent 7 Luxury Wilderness Lodges of Canada. Even from its beginning in 1980, the resort was built ecologically. 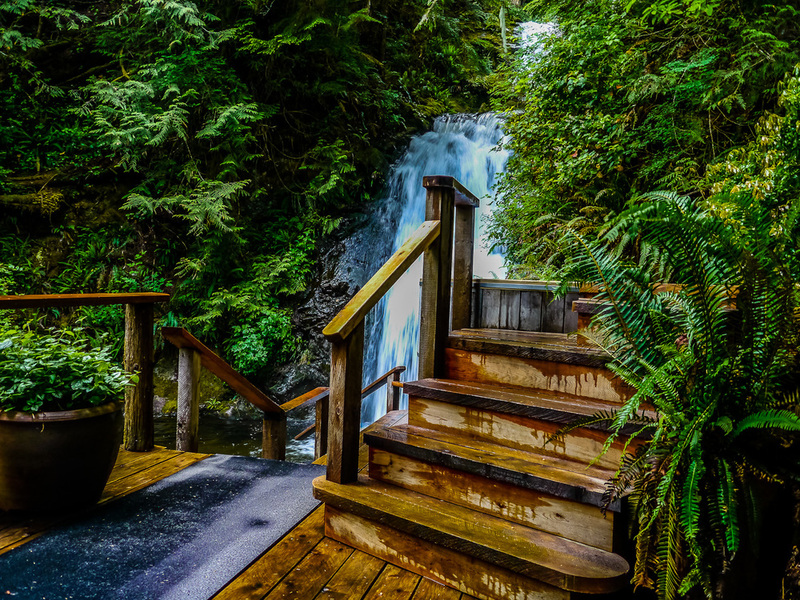 A Pelton wheel in one of the nearby waterfalls provided the first hydroelectric power and still powers the resort. The buildings either float in the water or are built on a rocky promontory on the edge of the rainforest, and were designed to not disturb any of the wildlife habitat. Amongst Nimmo Bay’s many environmental activities are the water-powered electricity system and a Hydroxyl waste management system that turns black and grey water into clean water. They’ve adopted an ecosystem-based management strategy and purchase British Columbia Beneficial Carbon Offsets. The boats that bring in guests and supplies take back recyclables to Vancouver Island. Guests may also contribute to the resort’s Futures Forever Fund, which supports advocacy work with the BC Wilderness Tourism Association and funds initiatives like the Raincoast Research Society to improve fish farming practices and save wild salmon from sea lice and chemicals. Nimmo Bay lunch. Photo by Johanna Read TravelEater.net. The resort hires locally, buys locally and provides local artists with the opportunity for international visitors to view and purchase their works. The kitchen uses local and organic foods wherever possible, and they buy seafood only from local commercial fishers. British Columbia’s harvest is bountiful — the salmon you’ll eat is caught and cleaned nearby, as are the oysters, spot prawns, scallops and mussels. Local farms supply meats, fruits and veg, and everything is paired with BC wines and beers. 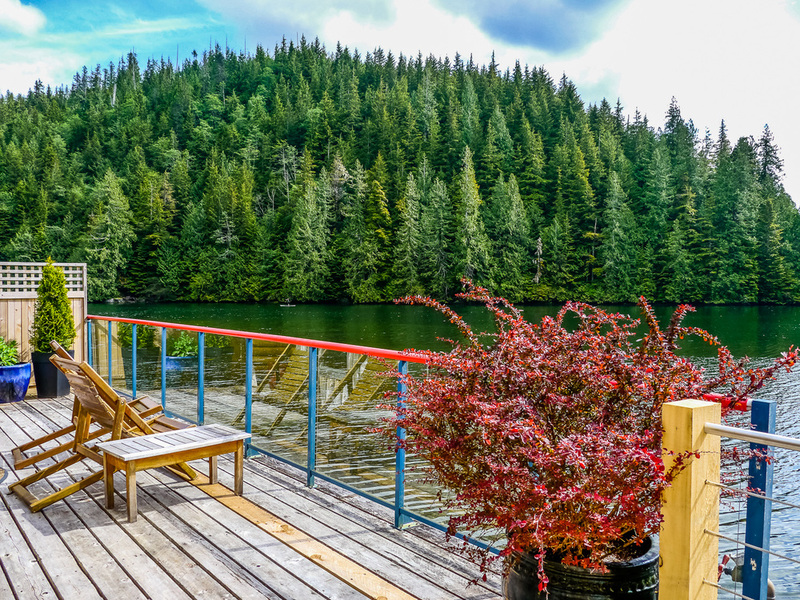 All of this pays off, as Nimmo Bay Wilderness Resort is one of the ideal locations to observe the untouched flora and fauna of the Great Bear Rainforest. Kayak with seals. Snorkel with jellyfish and sea stars. From the safety of the water, watch grizzlies and black bears feeding on shore. Standup paddleboard past rocks teeming with sea lions. Watch dolphins, porpoises and whales. Hike through the rainforest. Eat kelp. Cool off in the waterfall. 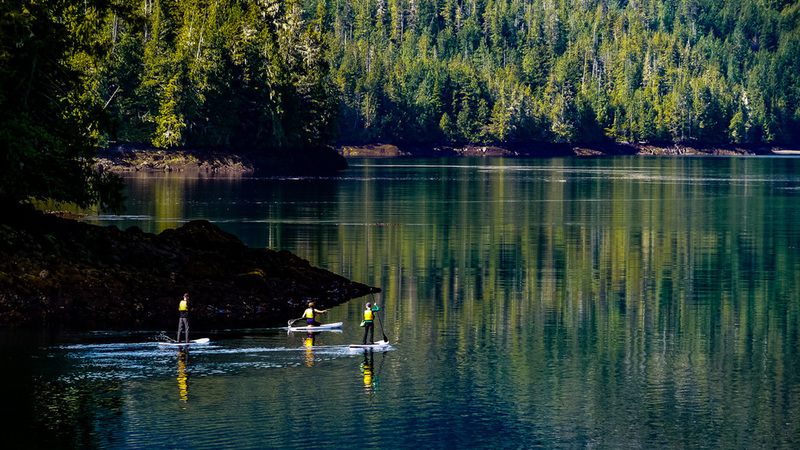 Yup, you can do all this and more at Nimmo Bay. The resort also gives you the opportunity to connect with Canada’s First Nations. You can visit traditional villages, learn about totems and the potlatch ceremony, hear traditional stories and songs, learn a little of the critically-endangered Kwak’wala language, participate in traditional food harvesting and preparation, and meet local artists. These activities are led by Sea Wolf Adventures guide Mike Willie, a member of the Musgamagw Dzawada’enuxw First Nation, who is passionate about preserving and sharing local First Nations’ culture and history. The resort can accommodate 18 guests in inter-tidal chalets. Some are right on the bay where you can watch the 18-foot tides from your balcony. Others are next to the roaring waterfall with its chilly plunge pool and the two cedar hot tubs. Yoga classes take place every morning to start your day, followed by a fantastic breakfast by chef Sandi Irving (don’t miss her made-in-house granola covered in fresh fruits, though her French toast is difficult to pass up!). Lunches are usually out in the wilderness atop a glacier, on the boat, on the beach, or in the forest next to a fishing stream. Back at the resort, have a massage and then meet up for cocktails on the floating dock complete with Adirondack chairs, fuzzy blankets and a fire pit. Move inside the floating dining room for one of Sandi’s gourmet dinners, and then back out to the fire pit for stargazing in one of the lowest light pollution areas in the world. Marshmallows optional.